Recently there’s been a lot of brain drain in Spain. But it didn’t use to be this way. There was a time, back in those early days of the new millennium, when Spain was a land of opportunity. Everybody had a job, and they were pretty sure they were going to get a better one any minute. And immigrants came from all corners of the world to be a part of the Spanish miracle – myself included! 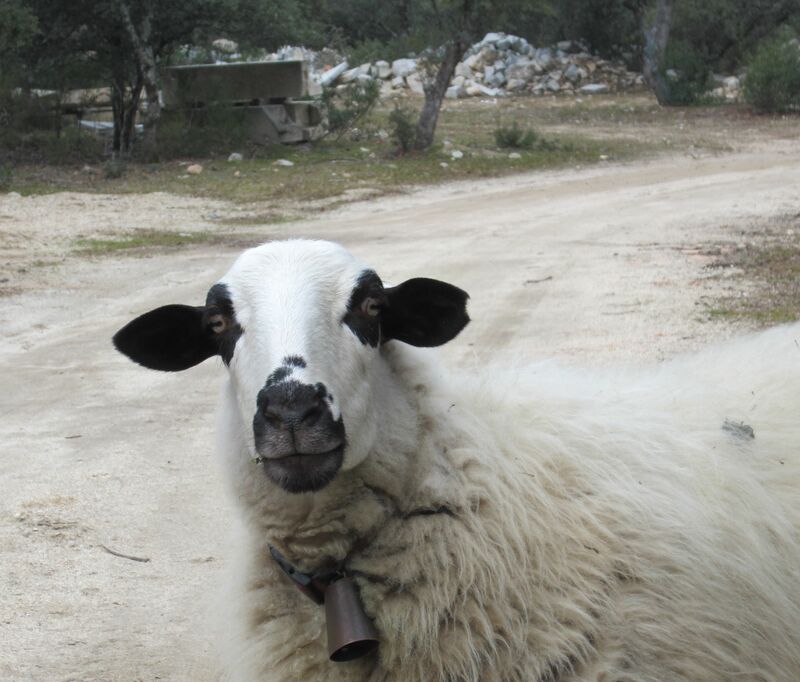 Eugenio the Sheep, unemployed since the year 2009 and considering emigrating to Sweden. In my English classes, back in those days of the quote-unquote Spanish miracle, most people were studying in order to get a better job. They’d answer their cellphones in the middle of class, just in case it was somebody from Lehman Brothers calling to offer them Vice Presidency. Now they study because they’re planning to emigrate. Is the Brain Drain in Spain causing you pain? Intelligent, well-educated people of all kinds are leaving the country or planning to leave as soon as they can. About 400,000 people have already left, according to the official statistics. Mostly young highly-qualified people who don’t want to be part of the Lost Generation. Many of them are going to Latin America. Countries like Chile, Argentina and Ecuador, which 10 years ago were sending their highly-qualified people over here in search or the Spanish Dream, are now attracting doctors, scientists, architects and engineers by the boatload. Many more go to Germany, Norway, Switzerland, England, the USA. The government is helping, of course, by making things as difficult as possible for those who choose to stay. What’s the first thing they cut back when times get tough? Research and development of new technologies! The government needs all that money to bail out the banks… So scientists (some with years of experience) have two options: stick around and hope somebody will offer them an unpaid internship, or go abroad and earn an actual salary. It’s enough to make me wonder: If the intelligent people are leaving, and I’m staying, where does that leave me? And I have to say, I’m not really sure. Life in Spain is wonderful–if you have a decent job. The cost of living isn’t too high… But if you’re a young person with three degrees and no prospects, perhaps the best thing to do is to get out. Meanwhile, we have gone from 4 million to 5 million and on to 6.2 million unemployed people, and seen many members of the political class involved in corruption scandals. We’ve seen housewives turned prostitutes and all sorts of nasty side-effects of the climate of austerity. Well, according to the people in the government, the light at the end of the tunnel is there, right in front of us! Only 6 to 12 months away. P.P.S. On the other hand, now Catalonia wants to be independent. We’re entre la espada and la pared here. Or maybe we could call it “out of the urinal and into the toilet bowl”. Anyway. Down in Madrid things are plugging along. No sweat.